Posted on July 1, 2018 by Michelle M.
Cooper sends love to our northern neighbors. 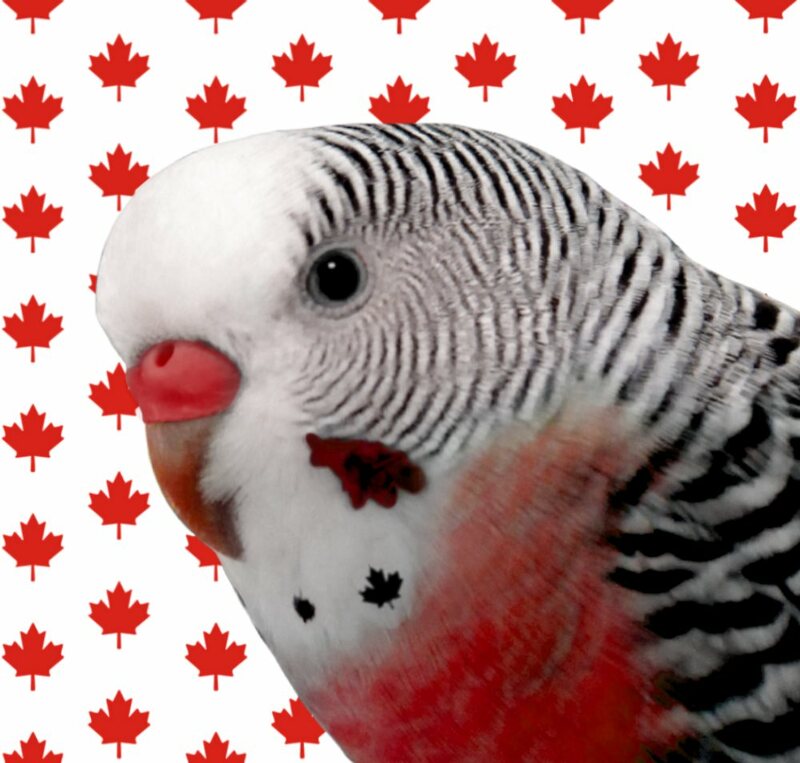 This entry was posted in Holiday Fun and tagged budgie, Canada budgie, Canada Day, Cooper, holiday fun, parakeet by Michelle M.. Bookmark the permalink. We should get that off, too.